One of the key performance measures of a founder is how he or she can get the company’s vision sold to internal and external stakeholders. As is the case with many founders, attracting investment to help grow the business is crucial to the business’s success. How do you sell your vision to these key stakeholders? This process is all about maximizing exposure and output, making every interaction count, and of course closing the deal. To get the most out of your fundraising efforts, you’ll need a process to establish regular connection with your potential investors. To form a targeted list of potential investors to connect with, ask yourself: What kind of connections do I have already established? What investor groups would be interested in my industry, product set or business model? Who do I know that can connect me with the right people? Try to prepare a tiered plan to capture local, regional, and national attention from investor groups and mentors. These activities should include conferences, industry events, pitch competitions, individual face-to-face meetings, special demos by appointment, and consistent email communications. Before any meetings, you will need to pull together a couple key things. Even if it’s just a preliminary plan, you’ll need an idea of the terms and levels of investment you need. Don’t forget to consider whether debt or equity funding works best for you or your company. Your lawyer may recommend an NDA, but from our experience you likely won’t need one and many institutional investors wouldn’t sign one anyway. For individual investors (sometimes called angel investors), you can send a mutual NDA at your discretion. Most importantly you’ll need a deep understanding of your business, your customers, competitors, and how you plan to grow this company. The now ubiquitous way of conveying this information to your potential investors is with a clear pitch, pitch deck and back-up collateral. Having all this collateral and pitch preparation completed up front, will help you be more confident about your message and overall ask. The ability to have the right story from the beginning increases your odds of success and a solid closing ask at the end will give investors a clear idea of where they fit into your business and what they can expect to get out of investing.  This is not a static process, each time you pitch, the takeaways and lessons learned can be incorporated in your pitch deck and your pitch can be adjusted accordingly. Fundraising can be a time-consuming endeavor, but listening to your audience and leaning on your mentor’s expertise can help make it shorter. Once the meeting is had the “ball is in their court” right? Wrong! Make sure you follow-up with investors with a layered communication strategy. This includes thank you emails, invitations to join your mentor newsletter, social site invites, investor portal invites, etc. Company updates and new developments from the product side can create a compelling case for deeper investor engagement over time. Finally, one of the most important parts of any pitch is remembering to ask for the close. It’s hard to ask for money, so don’t think of it like you’re asking for something, but rather that you are offering something. Investors are looking for good investments, that’s their whole business model, you are giving them the deal they are looking for. There is a lot of pressure around representing your brand and product, but if you know what you want and what it is worth, well in advance of the pitch, it will be easier to make the ask. You should run numbers on different levels of investment, so you can be better prepared to negotiate should the need arise. Remember that every pitch should end with an ask and a clearly communicated “next step” for the investor to get on board. If an investor passes on the investment, be sure to ask them why. This information can be vital to your understanding of how to improve your message or target more interested investor groups. Make it as easy as possible for your investor to understand your company and the deal, and you will be able to secure funding faster. Good luck with your startup funding journey!